Ahh, I love long weekends. I think life would be so much better if we only had 4 day work weeks. Long weekends used to mean another day to party, dance, be hungover, eat more pizza and all that loveliness. Now it just means more workouts and more time to spend outside. Oh, and I guess study in there somewhere too. The boy sprained his hand and hasn’t been able to lift for a couple days, so we tried to get out and about as much as possible to keep him from going stir crazy. Friday night I attended a talk by Chris Kresser, a leading specialist in Paleo/Clean Eating, that my box hosted. There were over 200 people there, complete with different Paleo restaurants/vendors giving out free samples before the talk (more to come on this later). Chris is on a nationwide book tour and only made two stops in Colorado, so it was pretty special that one of them was my box. Saturday I went to the morning WOD, followed by some 135lb sled pulls. 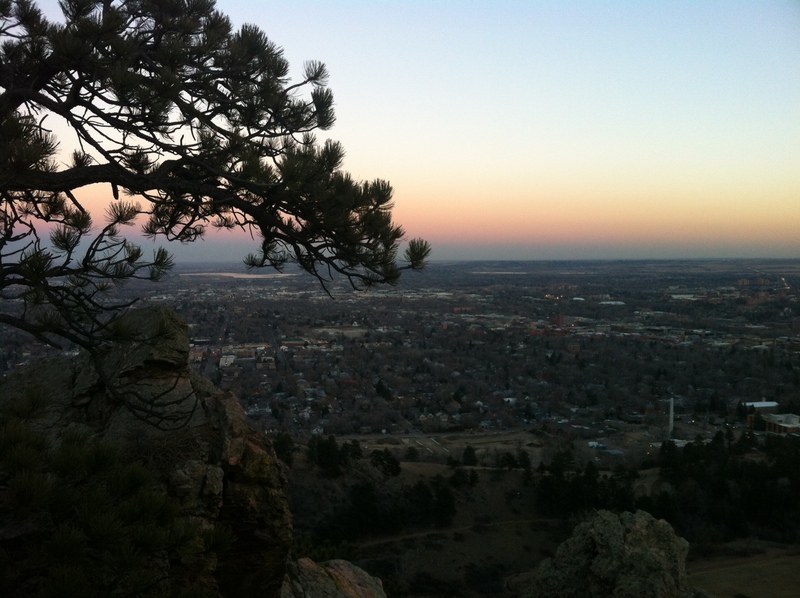 After a quick bite, the boy and I drove about an hour south to go hike in Castle Rock. 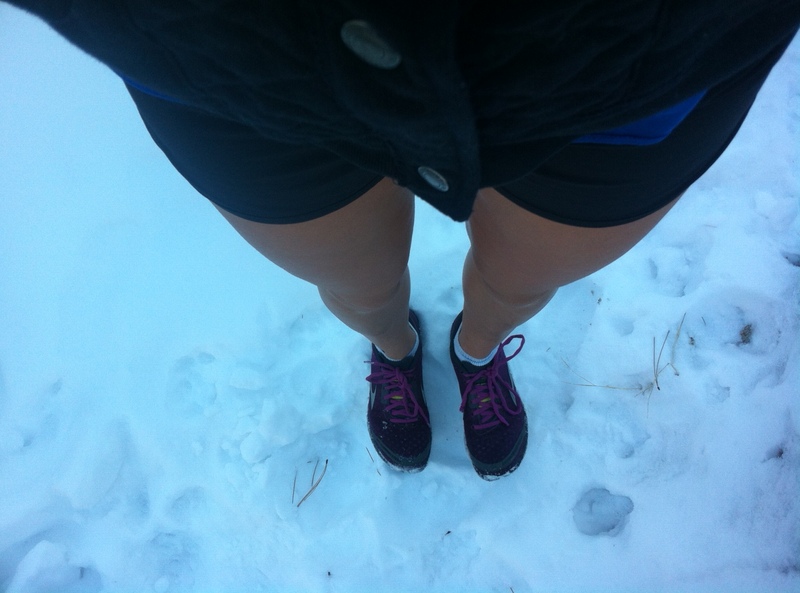 It was about 55 degrees in Boulder and I got a bit over excited by the warmth and decided to wear shorts. 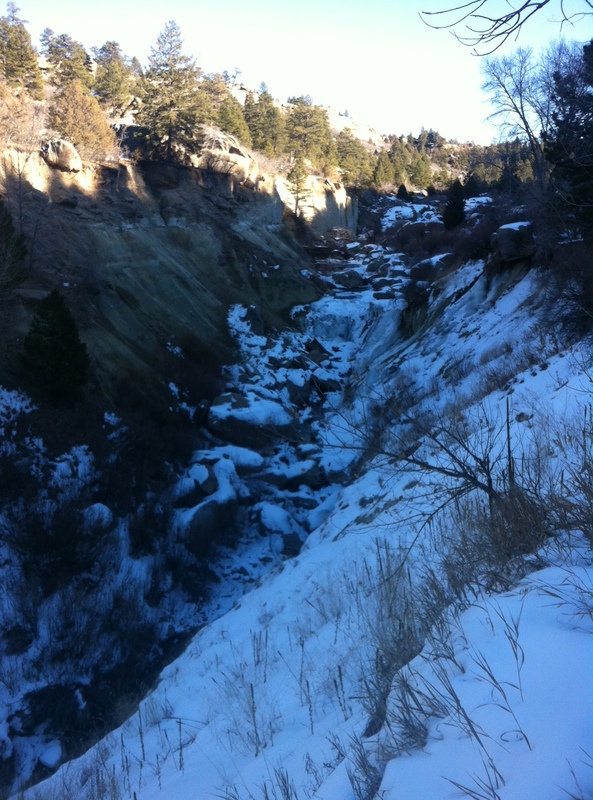 There was no snow anywhere along the drive until we got to the trail head. Then, what do you know, the entire hike still somehow had snow on the ground. I got some strange looks as people passed wearing winter coats. Afterwards we stopped to hang with his mom and sister and some amazing gluten free pizza that made up for the ice cold legs. Sunday I went to the morning WOD again and stayed after during open gym to do some front squats to try to work on that devilish form. I didn’t stay too long, though, because (a) I got really frustrated and grumpy and I tend to quarantine myself when I get like that so that I will still have friends later and (b) it was a gorgeous day and even though the rest of Colorado was watching the Broncos game, the boy and I aren’t really sports fans so we headed out to go climb a mountain. Obviously our lack of attendance was good luck, as the Broncos won. You’re welcome, Colorado. It was lovely to not have to get up and go to school today. 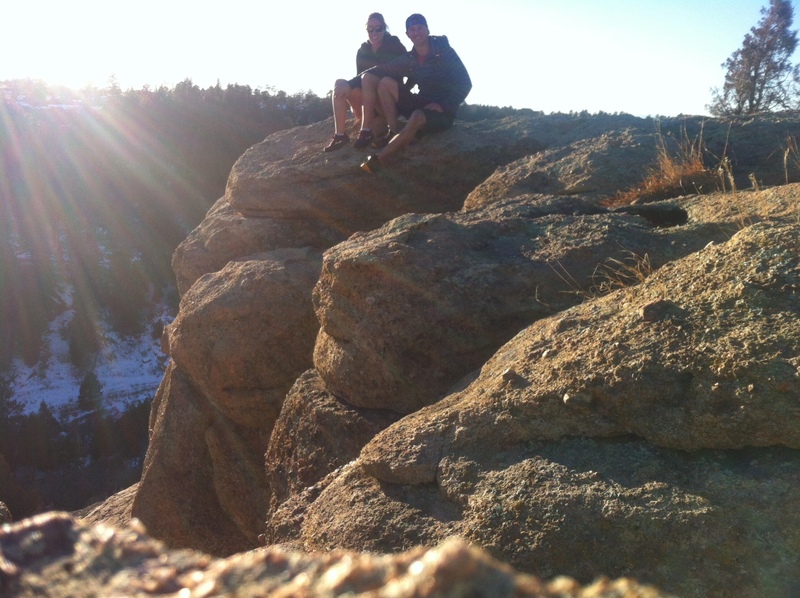 I celebrated by… you guessed it… more CrossFit and more hiking. So lame, I know. I have trouble sitting still sometimes. I went to Costco too. watch out world, i’m getting crazy on you! I had a lot of meal prepping to do for this week. My box is having a Clean 30 Challenge, similar to Whole 30 but less restrictive. You are assigned to a team and during the 30 days you eat pretty much full Paleo while attending WODs and working as hard as you can. There are benchmark WODS on the first day and the last day. Some people also have their body fat taken (I will not be one of them) and you are scored based on the improvement in the benchmark WOD and the loss of body fat. I’ve witnessed two other Clean 30’s that my box has done and seen the amazing improvement in skill and health on other people. I decided this time I’d jump on board, as I’ve been a bit too lenient with my meals lately. My sweet tooth is starting to get the best of me and I always do better if something is a competition, so this is coming at the perfect time. I’ll be posting most of my meals/recipes if anyone wants to jump on board the Clean 30 train and see just how good your body can feel when you feed it properly. Unlike Whole 30, I won’t be restricting sugar entirely, just cutting out grains/legumes/anything processed. Did you watch any football this weekend? This entry was posted in Uncategorized and tagged CrossFit, diet, hiking, Paleo, whole30 by fionaboger. Bookmark the permalink.